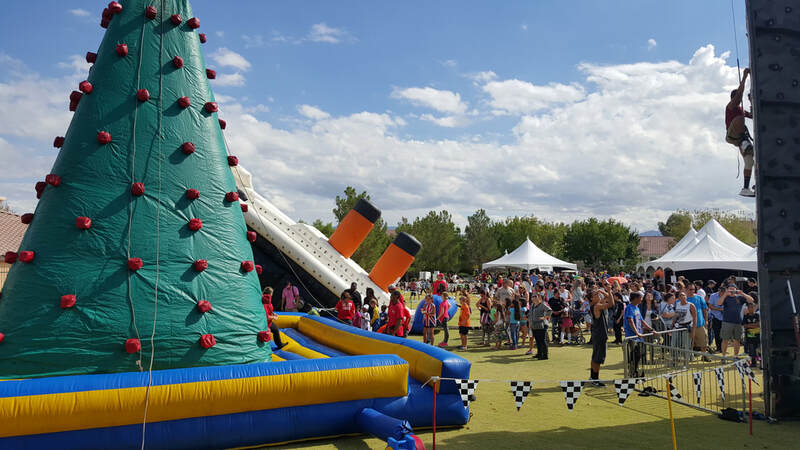 4-Sided Wall Climb - Interact Event Productions - Corporate Event Planning at Wholesale Prices! Four participants climb up the sides of this mountain, who will reach the top first? Safety is our priority, participants are harnessed in and cushioned below by a 4' inflatable pad. This is great for competitive use or just for fun. This attraction is always great for picnics, VBS activities, fundraisers, fitness fun, community outreaches and so much more.